2. MMC/SD card is a storage device launched in recent years for new style mobile phone, digital camera, MP3, PDA and other electronic devices. 3. The adapter could be used to convert MMC/SD card to CF II interface, for realizing format convertion among memory cards and reducing cost. Plug the adapter into CF slot and just forget about it during general usage, you will find it is convenient and practical. The auto-sensing capability allows high pocket transfer rate of up to 150Mbps for maximum throughput. 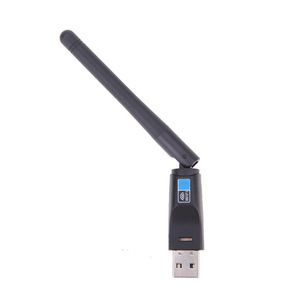 Additionally, the supports QOS function, which can help you create a wireless connection with effortless security setup, to prevent outside intrusion and protect your personal information from being exposed. 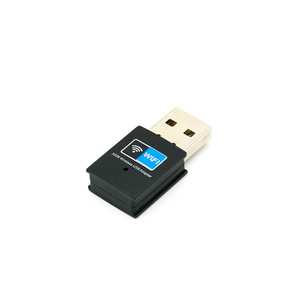 Featuring high performance transmission rates, simple installation and adaptability, as well as strong securty, the N USB Adapter is a perfect solution for small office and home needs. And it serves as AP client, and enables the desktop to use wireless network. Serve as AP client, and enable the desktop to use wireless network. WPS one key encryption, realize fast wireless encryption and ensure the safety of the wireless network. After price confirmation, you can require for samples to check our quality. Just tell us your ideas and we will help to carry out your ideas into perfect items. Honestly, it depends on the order quantity and the season you place the order. Rule 1 We cannot offer any customer "free samples". Rule 2 Welcome your trial order for "sample test". If you cannot meet our MOQ, please treasue your value time. Please contact us if you need our detail warranty term. If the product have been broken because of quality problem. If we are not online,you can leave us a message.